Uri: The Surgical Strike is on a record-smashing spree in spite of running in theatres for a month. After entering Rs 200-crore club, now this Vicky Kaushal film has decisively defeated Bahubali: The Conclusion at the box office. According to business analyst and movie critic Taran Adarsh, Anand Dhar's Uri witnessed a phenomenal growth of 115.96 on fifth Saturday which is two-fold more than Baahubali-2. The film has made an overall earning of Rs 207.13 crore in 30 days. Uri collected Rs 4.50 crore on its fifth Saturday, which is unprecedented in Bollywood, reported Box Office India. The collections of legendary Bahubali-2 was around Rs 2.50 crore on fifth Saturday. In the first week, Uri earned Rs 71.23 crore, in the second week Rs 62.76 crore, in third week Rs 37.06 crore, and in fourth week Rs 29.30 crore. On day 29, Uri collected Rs 2.25 crore and on day 30, the film collected Rs 4.50 crore. According to Bollywood Hungama, Uri made Rs 1.84 lakh in Australia, while it made Rs 1.70 lakh in New Zealand from six and three screens respectively. The report mentions that the movie has made a gross amount of Rs 35.47 crore from overseas box office, taking the global gross collection to Rs 281.73 crore. Uri: The Surgical Strike has done remarkable business in North India, especially in Uttar Pradesh, Delhi and East Punjab, as per reports. However, moviegoers in Mumbai have taken a keen liking to the film, where it has earned in Rs 75 crore in four weeks. This military drama movie has become one of the most popular movies in the recent years and has surpassed many high-budgeted bolly cinemas, like Padmaavat, Simmba, Sanju and several others. According to Box Office India, it is likely the josh for Uri will not fade next week despite the release of much awaited Zoya Akhatar's Gully Boy- starring Ranveer Singh and Alia Bhat. 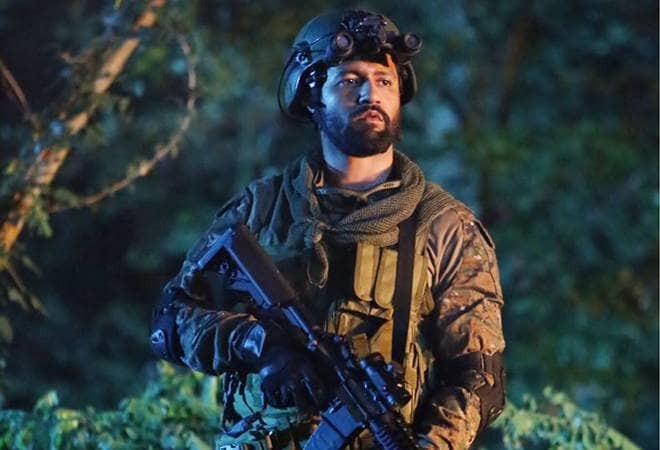 Made on a budget of Rs 45 crore, Uri: The Surgical Strike stars Vicky Kaushal, Yami Gautam, Paresh Rawal, Kirti Kulhari, Rajit Kapur, Swaroop Sampat and Rakesh Bedi.